Size	 Choose an optionExtra Large - Circumference: 26" to 30"Large - Circumference: 22" to 26"Medium - Circumference: 17" to 22"Small - Circumference: 13" to 17"
For sizing details, please see the Sizing Guide below. The Full Thigh Helix Compression Sleeve is a thigh compression brace that increases blood flow to the hamstring, quadriceps and groin muscles, supporting the healing process while it provides support and protection to the injured muscles. 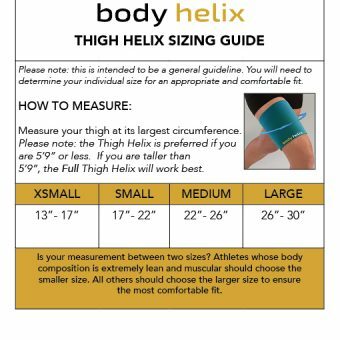 The Full Thigh Helix is, 8.5" long, is 2 inches longer than the Thigh Helix and is the preferred quadriceps and hamstring support if you are taller than 5'9". If you are shorter than 5'9", we recommend the Thigh Helix. 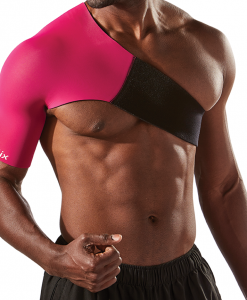 Recent research has shown that warming scar tissue makes that tissue more pliable and more stretchable. Wearing a Full Thigh Helix compression sleeve keeps the hamstring, thigh and groin muscles (and scar tissue from old injuries) heated and also relieves strain to the tendons. If injury prevention is your goal, wearing our thigh compression brace means your muscles start warm, stay warm, and keep warm afterwards while your muscles and joints recover, making the Full Thigh Helix the most effective hamstring support to aid in the prevention of quadriceps, groin and hamstring injuries. The Full Thigh Helix utilizes the Form Fit Technology to provide comfortable and uniform compression, making it the ideal thigh compression brace for quadriceps, groin, and hamstring injury recovery as well as for recovery between training sessions. While obsolete hamstring support braces slip down the thigh during strenuous activity, the sweat-activated fabric of a Body Helix ensures our Full Thigh Helix always stays in position. 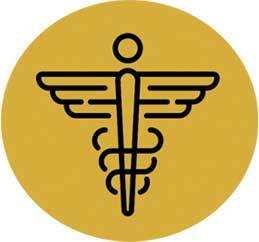 Body Helix' s medical-grade compression is in the range of 20- 30 millimeters of mercury (or mmHg in the scientific community.) 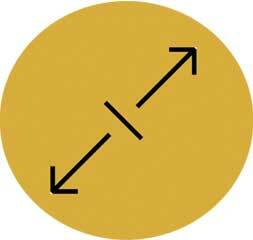 The higher the number, the more pressure we feel. Silky-smooth fabric feels good on your skin and won't pinch or bind. Our wraps/sleeves will stay in place due to the unique fabric that acts like an adherent between your skin and the product. You will have a perfect ergonomic fit. 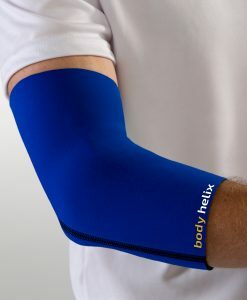 Our closed-cell design prevents the absorption of sweat, odor, and bacteria growth. Our fabrics are machine wash and machine dry. Laundering won't affect the longevity of the material. The Full Thigh Helix Compression Sleeve is a thigh compression brace that increases blood flow to the hamstring, quadriceps and groin muscles, supporting the healing process while it provides support and protection to the injured muscles. Recent research has shown that warming scar tissue makes that tissue more pliable, more stretchable. 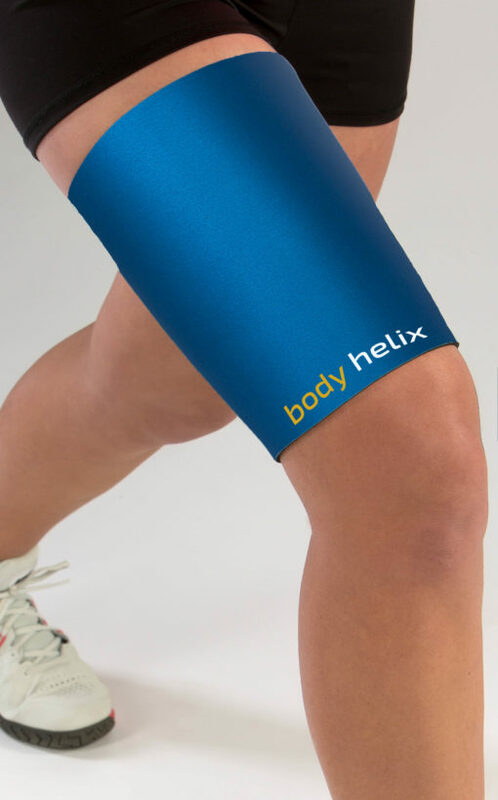 Wearing a Full Thigh Helix thigh compression brace keeps the hamstring, thigh and groin muscles (and scar tissue from old injuries) heated and also relieves strain to the tendons. Unlike obsolete thigh braces that use Velcro, the Full Thigh Helix utilizes the Form Fit Technology to provide comfortable and uniform compression, making it the ideal thigh compression brace for quadriceps, groin, and hamstring injury recovery as well as for recovery between training sessions. While obsolete hamstring support braces slip down the thigh during strenuous activity, the sweat-activated fabric of a Body Helix ensures our Full Thigh Helix is always in position. 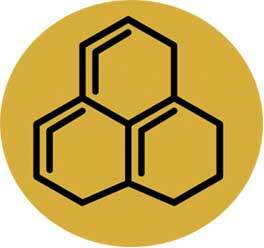 The product will not absorb water, bacteria, or odors, and it can be washed after every wear. What is the difference in styles? Please see the Thigh Helix for comparison. The Full Thigh Helix, 8.5″long, is 2 inches longer than the Thigh Helix and is the preferred quadriceps and hamstring support if you are 5’9″ or taller. The Adjustable Groin Helix specifically supports the proximal adductor longus, gracilis and buttock muscles. More groin support is provided by the Adjustable Groin Helix and more hamstring and quadriceps muscle support is provided by the Thigh Helix and Full Thigh Helix (Long). It is very important to measure your thigh at its largest circumference. Extra Large – Circumference: 26" to 30", Large – Circumference: 22" to 26", Medium – Circumference: 17" to 22", Small – Circumference: 13" to 17"
I already knew the product was great, but the customer service I just received was outstanding! I made a mistake and ordered the wrong size. Your customer rep told me how to return by using the Helix website. It was easy to do and on top of that, you paid the return postage (even though it was my my mistake). You have earned a devoted customer for life.